Can you describe the type of sound you guys have? I can’t quite put my finger on it. It made me happy today at work? I’m glad it didn’t make you cry at work. You must’ve listened to the more poppy ones. I started playing with Schooner in December of 2007. I’ve been a fan for many years, as my old band use to play with them quite frequently. Schooner has always stood out to me because I felt that they wrote very honest songs. Between the warm vocal harmonies, and soulful lyrics- they just possessed a natural quality. To me, the songs seem timeless. To describe the sound, I don’t know. I can’t quite put my finger on it either! 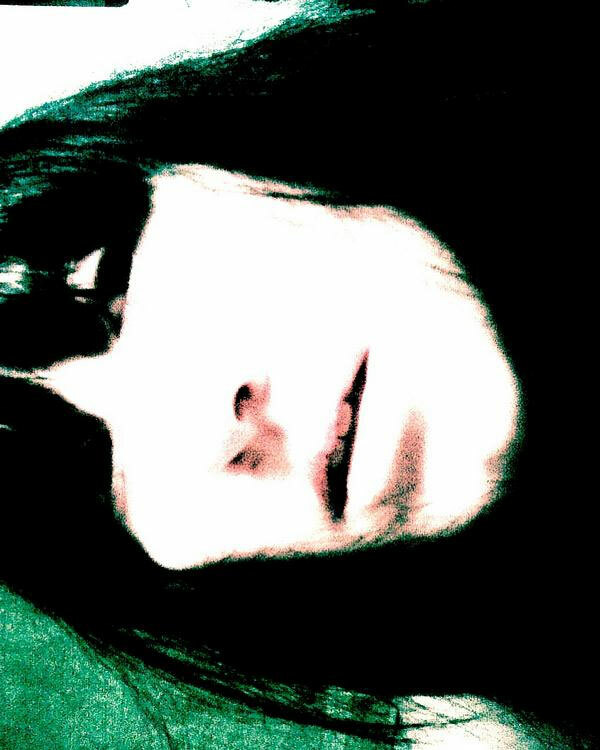 I can tell you that the influences of my bandmates range anywhere from Polvo & to Roy Orbison, if that helps at all. Whether it’s slow and moody, energetic and quirky-the songs tend to stick with you for a while. What are some of you guys influences musically? I’m inspired by pretty upbeat stuff. I listen to a lot of Animal Collective, Swirlies, Polvo, Pixies, stuff like that. Reid is influenced by some bands on drag city, merge records, 4AD back in the day, and maybe a little of the older sub pop. Some big influences for Billy are Echo & the Bunnymen, The Kinks, Herb Alpert, & Nick Cave. Kathryn enjoys Nina Simone, Ella Fitzgerald, Gillian Welch, chamber music, Stevie Wonder, & the Mamas and Papas. I picked up the bass in 1997, and haven’t put it down since. My friends needed a bass player, and I volunteered myself without knowing how to play. I’m grateful that they gave me the chance to figure it out. Where are you guys playing out currently? Are you on the road? Schooner went on a little road trip a few weeks ago. A short jaunt to PA,DC,NY, & VA. We like to try to do that when we can, but it’s hard when you have a full time job. We were planning on heading out to the Midwest in November, but with gas prices being what they are at the moment-it would be a huge expense. We will be on the road again though. A lot of bands are partnering up to split costs. We did that on our NE tour with Regina Hexaphone. We rented a big van and shared gear. It’s fun, and it helps make the trip possible! Can you describe the music and art scene in your area? The music scene in Chapel Hill, Durham, Carrboro, & Raleigh is just as vibrant and interesting today as it was in the 90’s. There is such a wide variety of music available any night of the week. We have great venues who play a huge part in supporting local bands by giving us the opportunity to open for well known, touring acts from all over the country. The bands themselves are constantly organizing and/or playing some sort of event. Some examples: A benefit show for an ill friend who has no medical insurance; a music festival to celebrate the community, raising money to build fences for dogs who spend their days being chained. It feels very united for the most part. We’re lucky to be a part of it. You also started a project called Órganos over a year go. Órganos http://www.myspace.com/organos How did that project start? Who’s in that? Is that a solo deal? 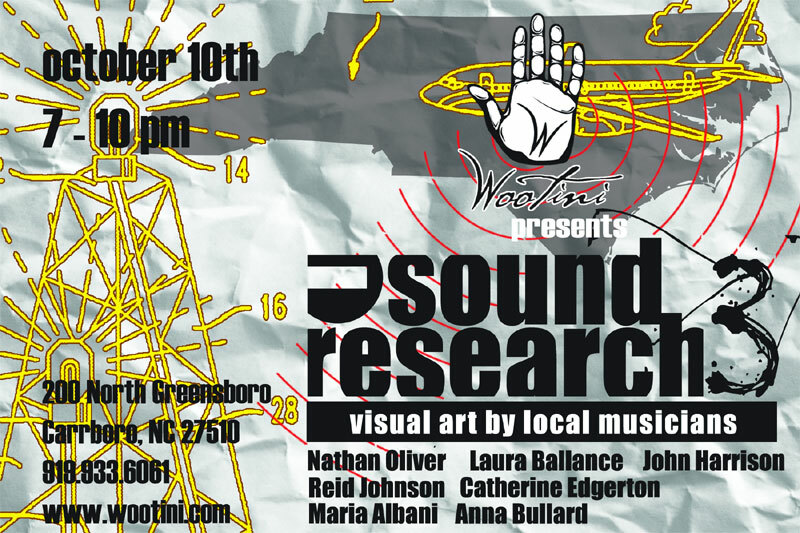 And on top of all of this you helped co-found Minus Sound Research which features visual art by local musicians who are primarily known for their musical endeavors. Seems to be growing in leaps and bounds this project. I like the concept a lot. How did you guys come up with the concept? Did you feel that there were not any venues for musicians to show their visual art or was it something else? My friend John Harrison and I met years ago from playing shows together. Back in 2006, John had approached me about an idea he had. At the time, he had been discovering just how many fellow friends that were musicians, happened to be making visual art as well. Just like me and John. John and I had both shown before in some capacity, and we both felt it would be wonderful to have a group show to highlight this new source. I don’t know that we necessarily felt there wasn’t a venue for it. We just liked the idea that there was this other creative force within these people, that most weren’t really aware of. Maybe a little aware, but the musicians that are involved are more recognized in the music community rather than the art community. John and I wanted to combine the two. There are so many musicians making art, and it’s not getting shown. We want people to see it. And what’s really exciting for us, is that we already to the point where musicians are approaching us to be their outlet for this. It’s very fulfilling for us! We’ve had some fantastic people involved in our past shows: Jerstin Crosby of Tennis and the Mennonites, Beth Tacular of Bower Birds, Melissa Swingle of the Moaners, & Bill Taylor of Kingsbury Manx. John came up with the name Minus Sound Research, but don’t take the title literally. The focus is on the art, but the music is still present. This year, John and I got to do something we had talked about doing in our first 2 years of MSR. We made a limited edition compilation cd that features 1 track per artist’s band/musical project. Can you describe to me who’s showing this year? How long with the show be up? Do you plan on curating art from other locations too for the show or do you already? Here is a list of artists who are participating in MSR3, and the band they are in. This is also the tracklisting for the cd I mentioned above. Each artist will be showing 5-7 new works. Some of the mediums you can expect to see include sculpture, mixed media, acrylic painting, wood and plaster sculptures, collage, crayon drawings, and even a composition made of felt! I fell this concept is strong enough to have a full-time gallery space to showcase visual art of musicians. Is there plans or dreams of maybe one day having such a space? Where do the shows happen currently? That’s funny, because I mentioned that to John not too long ago. It would be fantastic to devote a full time space for this rotating collective, but there are no immediate plans to do so. I think part of what John and I like about not having our own space, is the adventure of seeking out a location each year. We already thinking of where we’d like to exhibit next year! At the start of MSR, we approached a local business to have our show. A lovely bar called Fuse that has been hanging art for years. We showed with them the 2nd year of MSR as well. This year, we were incredibly thrilled to secure Wootini for MSR3. Having Wootini support this idea by lending their beautiful space is an absolute honor to us. They are a positive crew, and one of the most unique galleries in our area. Are you documenting the shows and is their a web site for the project? Currently, we have a myspace page that contains a list of everyone who has participated thus far, photos of old and current works, press, and links to the artits’ band/musical project. Any advice folks you’d like to pass down about being a creative person in a typically non-creative world? Don’t take it too seriously. Don’t be tied to the end result.